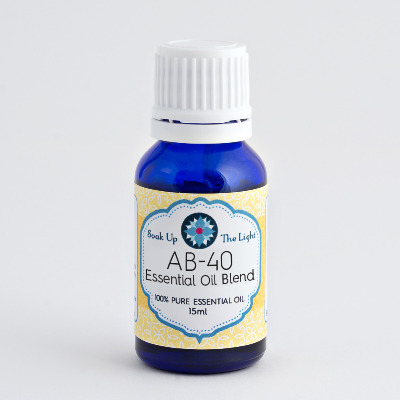 100% pure essential oil blend of Camphor (Cinnamomum Camphora), Cinnamon (Cinnamomum zeylanicum), Eucalyptus Globulus, Rosemary (Rosmarinus Officinalis), Clove Bud ( Syzygium aromaticum), and Lemon (Citrus limon). Q: Do you individually distill each of these ingredients yourself and then combine them? How exactly is this blend made? A: I partner with a local company who has been in business with essential oils for over 100 years. They are one of the top international purchasers of essential oils but they purchase and actually distill many oils locally in South Bend. As a Clinical Aromatherapist, I review the 3 page document certifying the individual oils as pure and both test results to ensure therapeutic quality. Then I combine the individual oils into the blends. Our 15 ml blends are still 100% pure essential oils and should be diluted in a proper carrier before applied to the skin. Hopefully this answers your question. Thanks for asking!